Harpeth Rising chose to name themselves after a river because water is both dynamic and powerful. 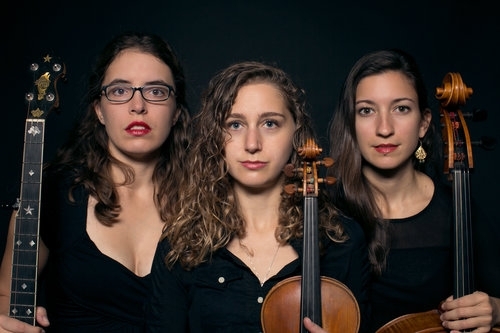 These words also describe the music created by the three women – Jordana Greenberg (violin, vocals), Rebecca Reed-Lunn (banjo, vocals) and Maria Di Meglio (cello, vocals). They fuse Folk, Newgrass, Rock and Classical into a sound that is organically unique. Their music is comprised of expansive three-part harmonies, consummate musicianship and a deft, yet soulful lyrical perspective.